Merry Christmas Eve! I am loving winter break and having so much time to shop, wrap, bake, and decorate. I hope you are all having a great week so far, and you are ready for Christmas tomorrow! I can't believe it is Christmas Eve already! Today I wanted to share my favorite holiday go-to cookies. I make these ones every year. 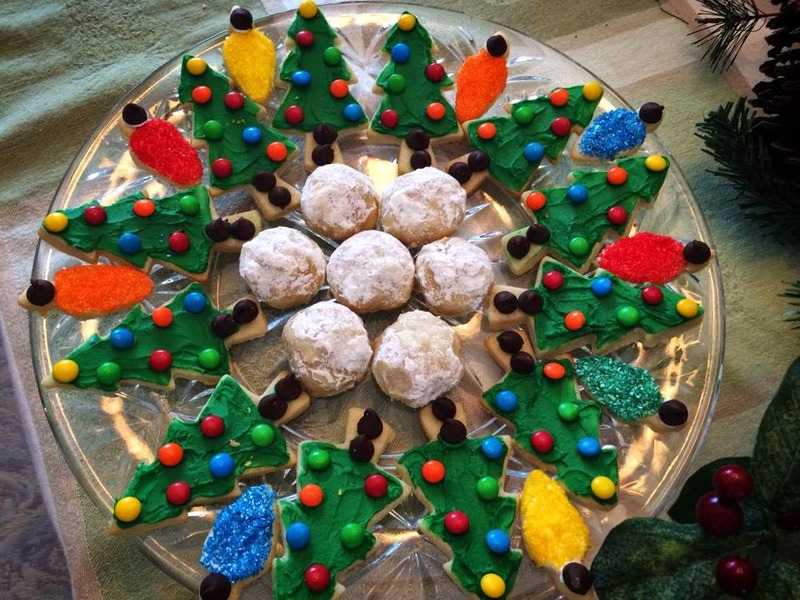 The sugar cookie recipe I use I already shared on the blog a few days ago. They are my favorite because I just love decorating them. It brings back such great memories of decorating cookies with my family when I was younger. 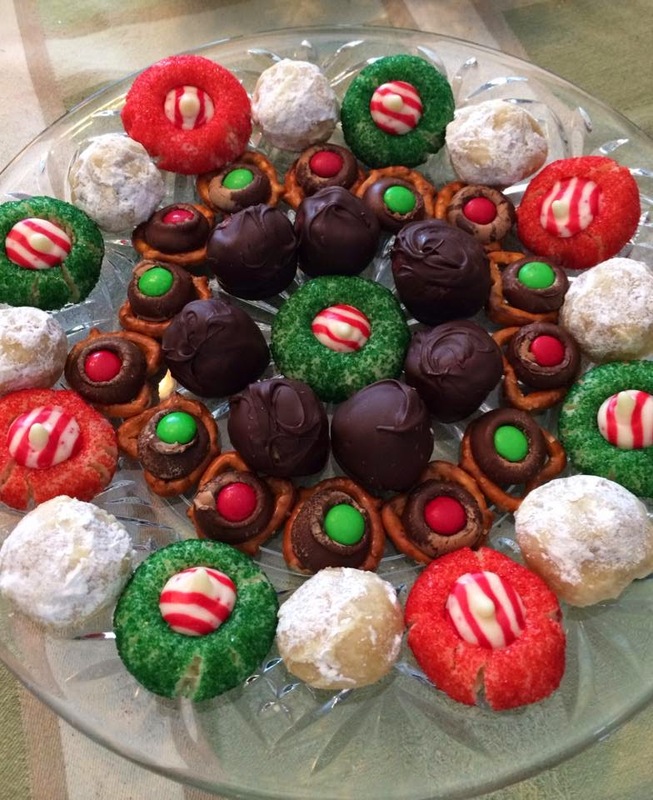 Every year I also make Russian teacakes, Peanut Butter Blossoms, and Peanut Butter Balls. I wanted to share the recipes I use. I usually like to try a new recipe every year too, but I'm still finishing them up so I'll share that recipe a little later. 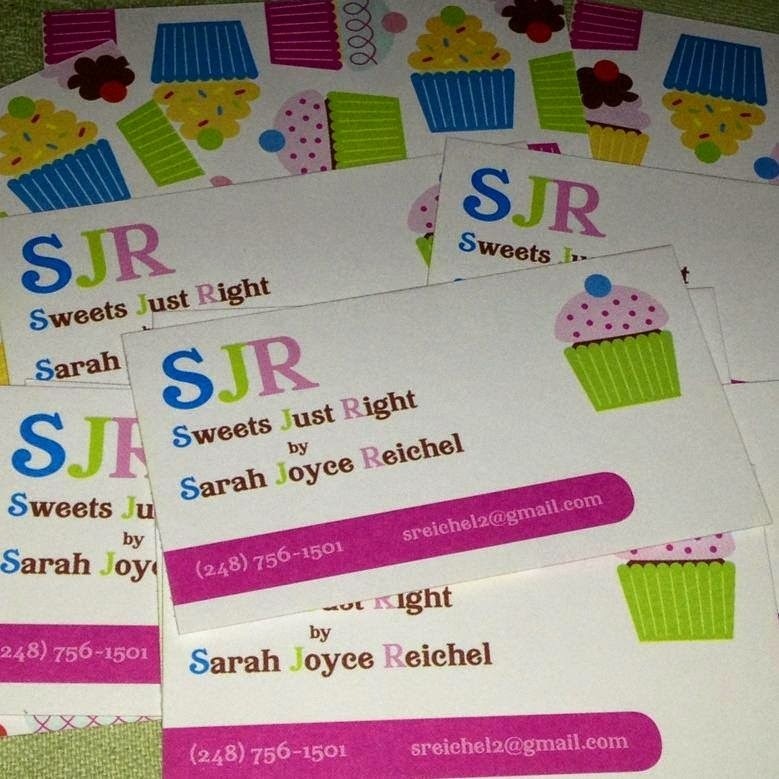 Roll into 1 inch balls and roll in sugar. Bake at 375 degrees for 8-10 minutes. Put in Hersey kiss while warm. Let cool and enjoy! Roll dough into 1 inch balls and bake at 400 degrees for 8-10 minutes. Roll in powdered sugar while warm. Enjoy! Mix ingredients and roll into 1 inch balls. Refrigerate for at least an hour. 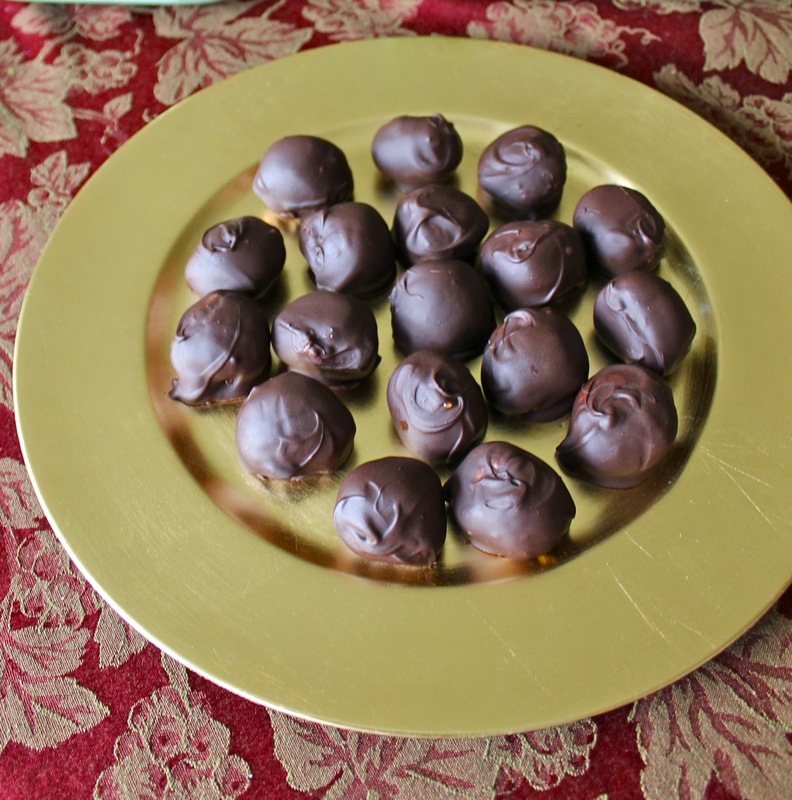 Melt shortening and chocolate chips (use 50% power if using the microwave) and dip peanut butter balls into chocolate. 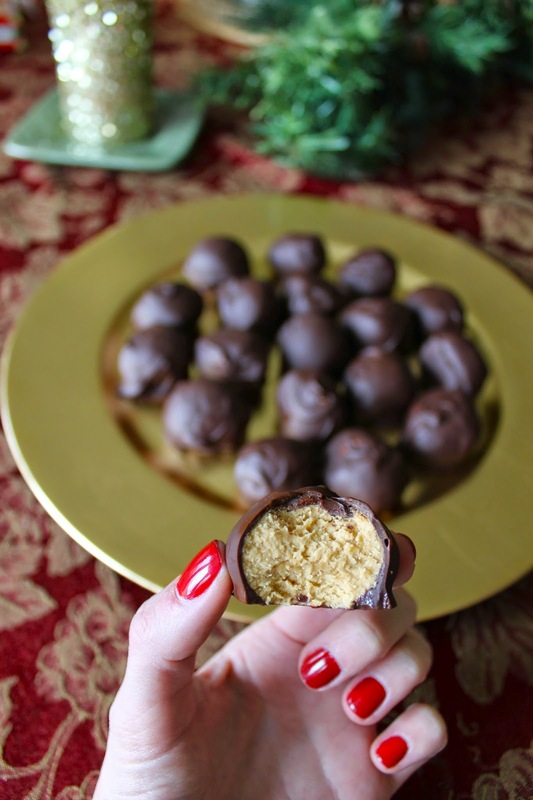 You can dip half of the ball or the whole ball (I dip the whole thing--no such thing at too much chocolate!). Let harden and enjoy! PS- You can't get through the holidays without a fun holiday cocktail! I found this drink mix & these adorable mirrored mini cake stand and serving tray at Home Goods and I adore this monogram Anthropologie mug. Thanks for stopping by! Let me know how your Christmas baking is going!